with the NEW guide from Veeam and For Dummies! 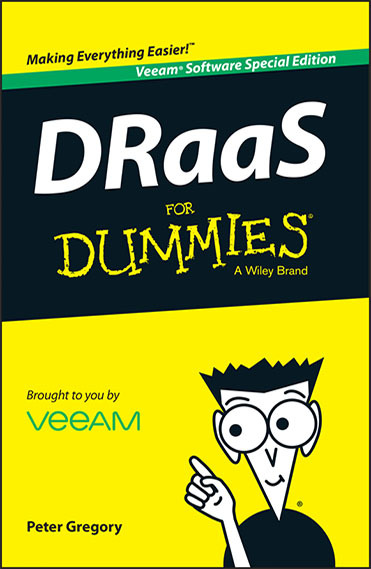 Get your DRaaS basics with Veeam® and For Dummies! Disaster Recovery as a Service revolutionizes DR planning and implementation, offering one go-to solution for rapid system data recovery and 24/7 Availability. Cost reduction, simplicity, visibility and the ability to externalize expertise are just a few of the competitive advantages DRaaS leverages for your Always-On Business™. Building a successful DR plan is necessary in today’s business environment. However, no one would have thought implementing DRaaS could be such an efficient process, easily accessible to non-DR experts. DRaaS For Dummies also covers monitoring, testing and executing failovers and failbacks to insure a "healthy" DR environment.